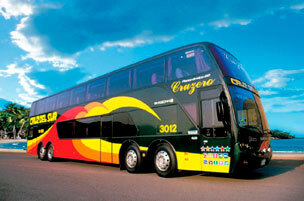 The traditional way of reaching Nazca City is by bus from Lima, Cusco, Arequipa, Paracas or Ica. Our recommendation for those visiting Cusco and Nazca is a travel by bus from Lima to Cusco (or vice verse) with intermediate stop in Nazca, make the overflight and then continue the trip. Another option is a combined tour Nazca and Paracas from Lima. The traditional way to travel to Nazca is by bus. Nazca city is located on kilometer marker 460 of South Pan-American Highway and is the connection point to Highway Nazca - Abancay - Cusco. By the South Pan-American Highway you can continue to south arriving to Arequipa, Tacna and to the border with Chile. Highway Lima / Nazca / Cusco: Lap Lima - Nazca 460 Km. (286 miles) by Pan-American Highway (1S) and connect with road Nazca - Abancay - Cusco (26A-3S) 705 Km (438 miles). Nazca is a hub for bus services, connecting the city with Lima, Cusco, Arequipa, Paracas and Ica. 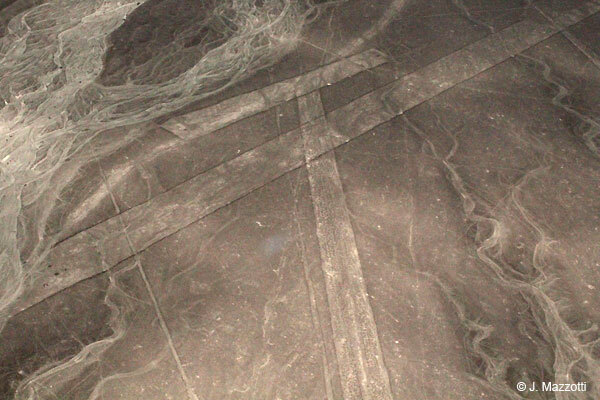 Our recommendation for those visiting Cusco and Nazca is a travel by bus by night from Lima to Cusco (or vice verse) with intermediate stop in Nazca, make the overflight the Nazca Lines and then continue the trip. This route climbs over 4000 m.a.s.l. and warmest clothing is recommended. Includes: Bus tickets from Lima to Nazca and Nazca to Cusco (or vice versa route), transfers bus station / hotel / bus station in Nazca, overflight Nazca Lines with transfers to the airport, visit to Cahuachi with buggies, day use hotel in Nazca. Daily departures. The airport María Reiche Neuman of Nazca, located 2.5 Km. outside the town, not has regular flights, is used only for companies that overflight the Nazca Lines, Palpa Lines and rental flights. 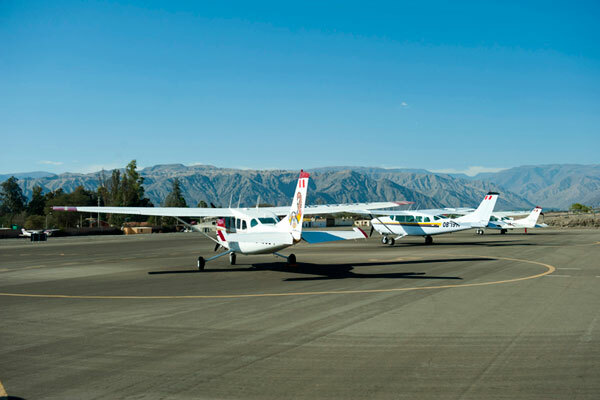 From the airfield of Nazca you can take an overflight tour to Nazca Lines and Palpa Lines. 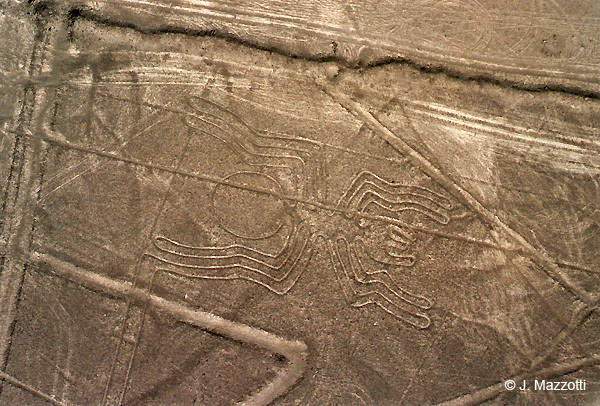 There are several companies that offer the flights over the Nazca lines, some start their flights from the airfield of Nazca, Paracas (Pisco) or Ica. Normally the flight from Nazca lasts 30 minutes and 45 minutes if includes the Palpa Lines. The small aircrafts are specially designed with large panoramic windows and good comfort to take great pictures and audio-guide. If you visit Nazca from Lima, and book the earliest bus service you can overflight the Nazca Lines and then continue your trip to Cusco by bus (15 hours) or go directly to Arequipa (8 hours). These bus trips are at night and thus you will gain a day if you do not return to Lima.